Advertising on social networks much needed: the Internet time spend millions of people. Their accounts give birth to schoolchildren, students and professionals. And often they visit them directly to working and training time. 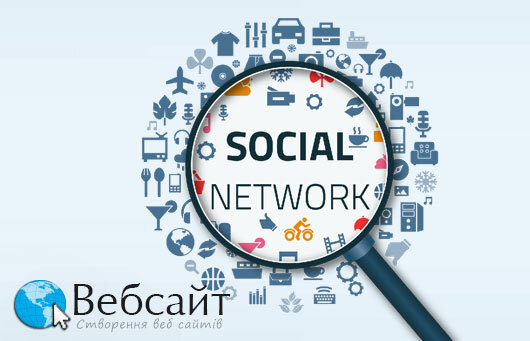 Vkontakte - is the most popular social network runet. Let's see if profitable advertising "VKontakte"? Does it bring the desired effect? Earlier VK could advertise only internal pages (groups, public, community, apps). Recently, the social network became available to advertise on third party sources. Advertising site "VKontakte" is possible in several ways. The first and main - a publication on the wall. Deliver information and news articles with links to a site as possible in the official community brand or product, and other popular groups with large numbers of subscribers and users, on the pages of opinion leaders. The more information on a particular page, the greater the number of users will see information about you. To see and appreciate. This is particularly important because the rating information is another way to promote the brand. It is a curses, comments and reposta. Meaning reposta very simple: the more people talk about the publication of your friends, the more the number of people acquainted with moving goods or services. The advantage which advertise different "VKontakte" - an opportunity to talk about the product and brand that part of the audience that it is not yet familiar. Comments and swearing give a slightly different effect. It's PR website, or corporate group, using the comments under thematic posts can change according to the audience about your product, neutralize negative and develop discussion with people who are interested in publishing. Must understand that the publication provides information for himself. What information is interesting drive, the more effective will campaign. Incidentally, the peak efficiency of placing publications achieved in the first day. After the post gradually descends to the lower position, following the twenty publications. SMA 150 - more than 100 000 subscribers. This indicator is checked automatically by the system and check the result immediately visible to the administrator. Advertising in groups effectively? Compare prices for advertising in public "VKontakte" and in the pages of users with a large number of subscribers makes no sense. The cost of advertising "VKontakte" can vary depending on the audience Community (subject, numbers of participants and other indicators). Here are the overall figures: if the number of subscribers account at least 10 000 people, the publication it can cost less than 100 USD. There are also community-million, post to which more times from UAH 3,000 and above. Advertising Vkontakte, as well as advertising on social networks is a very important form of advertising that can not be ignored. Our experts will help you in this call now.